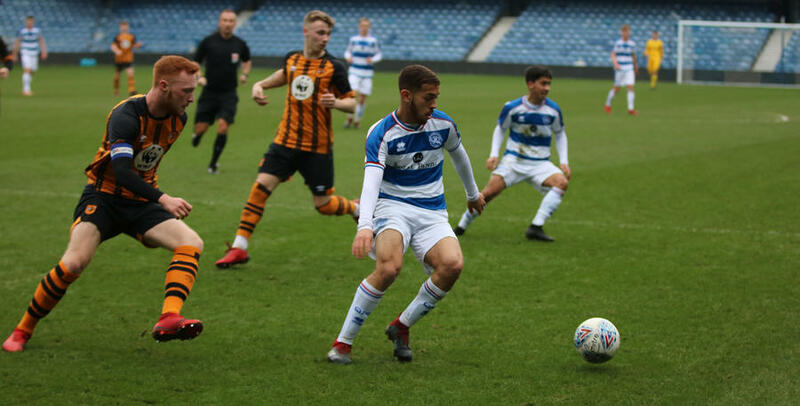 THERE was late, late drama at Loftus Road, as QPR Under-23s came from behind to return to winning ways against their Hull City counterparts. Hull took the lead inside the opening quarter hour, with Dan Hawkins finishing off some impressive visiting approach play. However, Rangers rallied thereafter to turn this W12 affair on its head. Skipper for the afternoon Lewis Walker’s thumping effort shortly after half-time hauled the R's level. Then deep into stoppage time at the end, Nathan Carlyle slid home at close range after Chay Tilt's initial effort from a free-kick routine was only parried by Tigers goalkeeper Callum Burton. After a relatively-even start, the visitors edged in front following a free-flowing team move on 13 minutes. 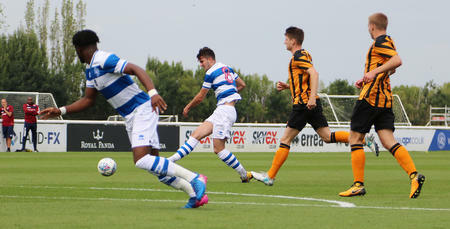 Hull worked the ball to the right-hand side of the box before Hawkins hammered home the subsequent centre. Buoyed by their opener, the Tigers almost doubled their lead just a minute later – with only a goal-line clearance denying Jacob Greaves from bundling the ball home from a Hull corner. But Rangers responded with a number of efforts of their own prior to half-time. 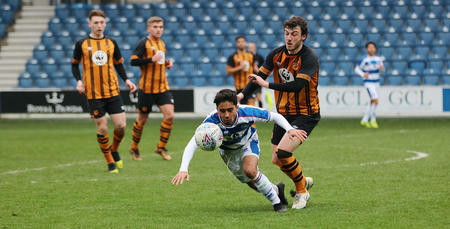 First captain Walker headed a fine chance over in the 20th minute, following Joe Felix’s right-wing cross, before separate attempts from Faysal Bettache (22 minutes) and Amrit Bansal-McNulty (30, 34 and 44) were all repelled by Burton in the visiting goal. Unable to register a reply before the break, Rangers eventually levelled matters in emphatic fashion in the 48th minute – Walker’s 18-yard drive darting past Burton and into the top right-hand corner. Parity restored, the hosts then slowly upped the ante. In the 67th minute, Bansal-McNulty displayed lovely feet before his shot - from a narrow angle - was parried wide at his near post by Burton. Two minutes later, the Hull goalkeeper also saved well from Tilt following an R’s breakaway. 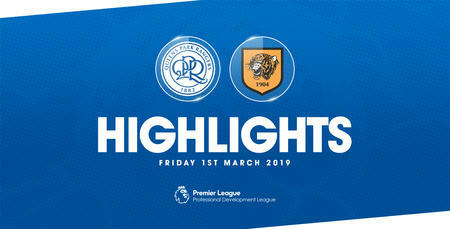 However, despite that pressure, Hull so nearly regained the lead in the 74th minute, with Rangers custodian Marcin Brzozowski forced into a stunning point-blank stop to deny Callum Smith. Six minutes later, more goalkeeper heroics from Brzozowski thwarted Hull’s Elliot Holmes, who raced onto the ball in the box before unleashing a fierce effort on the half-volley. As the clock ticked down, Tilt saw his 25-yard free-kick drop just over the upright in the 87th minute. Then at the other end a minute later, Hull's Greaves struck the crossbar with his 88th-minute header. Ultimately, there would be a winner, though, with Rangers completing their comeback in the 93rd minute. Carlyle was the R's hero, reacting first to the loose ball to finish inside the six-yard box after Tilt's initial blast was parried into his direction by Burton. QPR U23: Brzozowski, Felix, Domi, Wells, Carlyle, Gubbins, Tilt, Bettache, Walker, Mesias, Bansal-McNulty. Subs (not used): Bowman, Kefalas, Genovesi, Platt. WATCH highlights from QPR Under-23s 2-1 win against Hull City at Loftus Road.